The 1025 Series Palm and Foot Switches are industrial rated switches suited for applications where an operator must have both hands free to perform other functions or, where a highly visible foot switch is required for quick and easy operation. We have an electric foot switch available for a wide varieties of contact arrangements, ratings and enclosure styles. Industrial duty, 4 way, 5 port air valves, pneumatic foot switch are available for air control circuits. 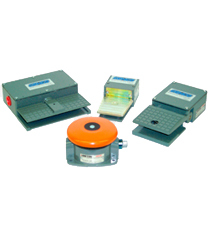 Gemco can provide a wide variety of special features to meet your specific foot switch requirements. Special guards, legend plates, mounting bases, contact arrangements, safety treadle gates, etc. to meet OEM needs. The 1025B Series Foot Switch is a one-direction treadle-operated foot switch. The switch is supplied as a factory-built option with either one or two precision unit switches and with or without a half or full down treadle latch. Each precision unit switch has a normally open and a normally closed circuit. The contacts are designed to open and close either alternating current or direct current pilot circuits. This foot switch may be mounted in any convenient position. When installed, it will give a long-life service with a minimum amount of service/maintenance. The 1025C Series Heavy Duty Treadle-operated foot switch has two precision switches. Each of these has a normally open and a normally closed circuit. The switch, as shipped, is set up for three-position spring return of the treadle lever. The cam block may be rotated to provide either two- or three-position maintained contact. This foot switch may be mounted in any convenient position. When installed, it will give a long service life with a minimum amount of maintenance. Four stamped function nameplates are included with the switch: “Start,” “Stop,” “Forward,” and “Reverse”. Mount the two plates which best suit the application. The 1025D Series Heavy Duty Mushroom button switch is particularly well suited for critical applications where a large, easy-to-see operator is required. This foot and palm-operated switch may be equipped with either one or two precision unit switches. Each precision switch has one single pole double break double throw circuit.